The occasion of an accident is one that no one ever looks forward to, and logically so, due to the many pitfalls associated with it. There is the pain, which can vary largely depending on the impact and seriousness of the accident, and then there is the expense it causes. Expenses in obtaining medical treatments may border within or outside your capacity. 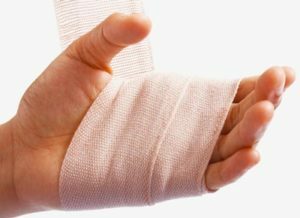 If this injury occurred in the line of work, then it’s a work injury, and regardless of what caused it, you should know that you are entitled to some kind of compensation. Truth is the procedures involved from the time you sustained the injury to when you actually receive your compensation can be quite frustrating. There are cases of benefits denial and payment evasion that occur rampantly thus making it pertinent that you have someone who is familiar with the language of such cases to help you find your way through. At Rawa Law Group, our professional work injury attorneys in Alhambra will help you make sense of it all, breaking down the complexities. We will go a step further to create a rock solid case for you after much investigation has been done. At Rawa Law Group, we are quite thorough with our cases and personal with our clients, this why we are favorites for claimants in Alhambra. Our Work Injury attorneys in Alhambra are amongst the best in the world, having some of the most revered legal practitioners in the country. If you desire quality representation, a relentless advocacy that will see you through to getting the compensations you deserve, do not hesitate to reach out to us. We are your best bet!